ABP has launched its first fresh plant-based meat-free brand for distribution in the UK. The new brand is being called Equals and will be available to consumers next week. 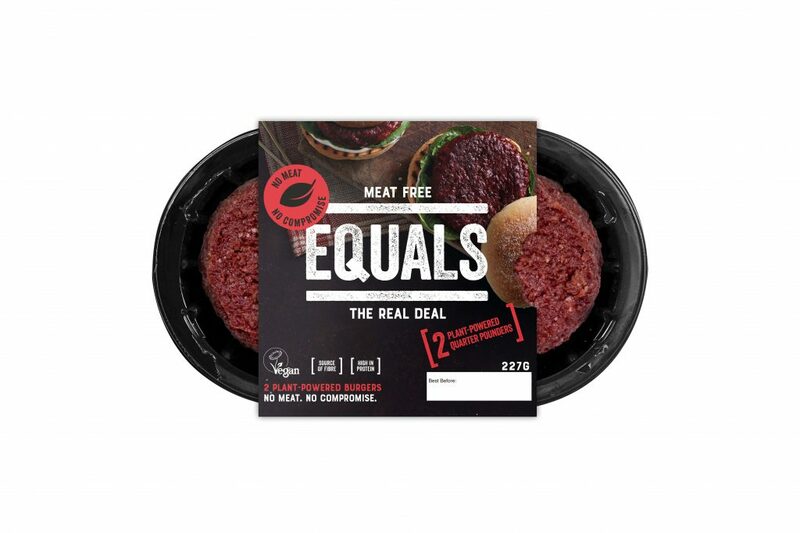 Equals is a range of fresh plant-based products with both texture and flavour to equal the meat-eating experience to appeal to meat reducers and non-meat eaters alike. The first product to launch is a two-quarter pounder meat-free burger pack which is made from a mix of seasoned pea and soy proteins. The Equals brand launch is being supported by a £250,000 instore marketing and social media campaign and will be available in Asda stores from this week. ABP plans to extend listings to other retailers and food service providers over the coming months. The move is part of the company’s multi-million-pound investment in its branded and ready to cook meat and meat-free solutions which complement ABP’s core processing business. According to Kantar Research, there is a growing demand for meat-free alternatives from consumers. One in twelve households now includes some aspect of meat-free alternatives as part of their weekly diet while demand for vegetarian meal options by consumers has grown by 8% over the past 5 years. ABP first entered the meat-free category in 2011 and since then it has grown to become the UK market leader for the production of own-label vegetable-based meat-free products. The company employs over 100 people at its Eatwell meat-free processing facility in Liverpool.